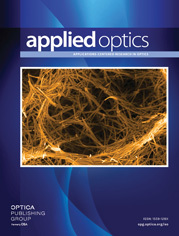 The authors are with University of Neuchatel, Institute of Micro-technology, CH-2000 Neuchatel, Switzerland. An optical symbolic substitution system based on diffraction gratings and Fourier filtering is presented. The computational capability and design requirements of the system are derived. Binary applications of the system in the areas of correlation, arithmetic, and image algebra are discussed, and experimental results are presented.